A look at this year’s SIHH reveals a generally greater attention to women and to those who enjoy collecting complicated timepieces. 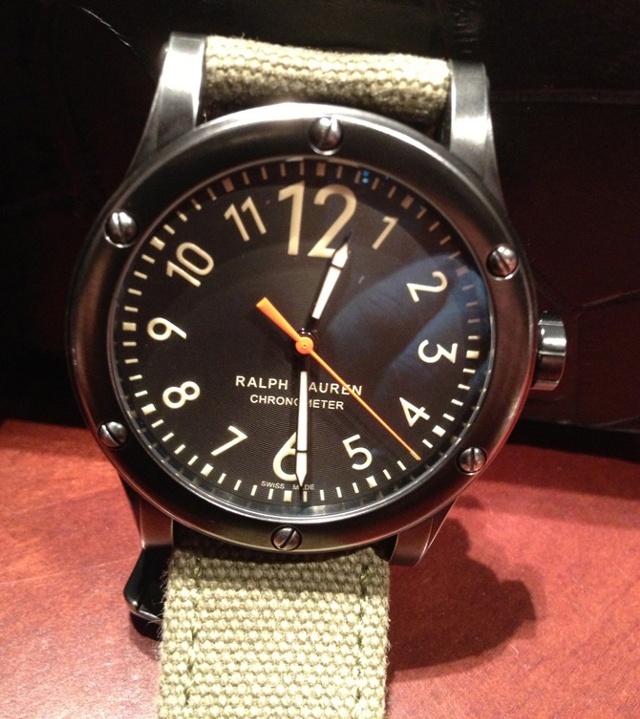 But these overarching trends, described in previous posts this past week, might lead one to overlook a few other mini-trends among the assembled high-end watch firms. Furthermore, not all debut timepieces adhere to any particular fashion, and there are many individual SIHH 2013 timepieces that should be noted. 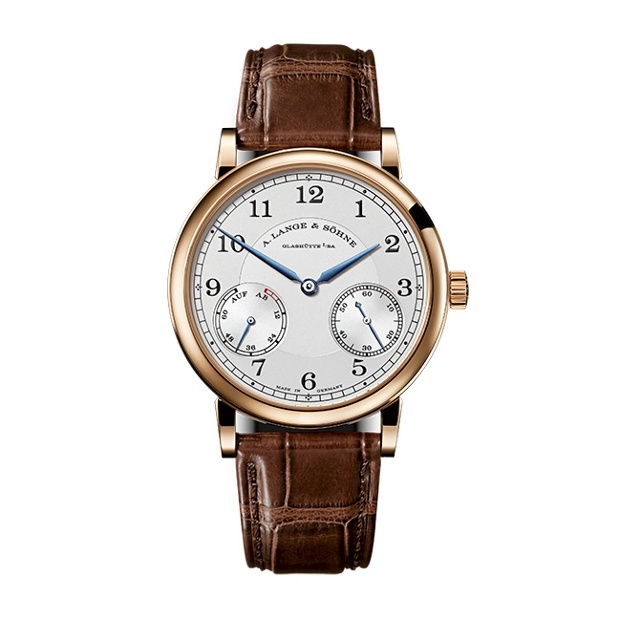 IWC, Roger Dubuis, A. Lange & Söhne and (as noted previously) Vacheron Constantin focused their debuts primarily within a single collection among the many each offers. We see a new depth within IWC’s Ingenieur family, a few nicely proportioned Saxonia and 1815 models over at A. Lange & Söhne, and several pared-down Excalibur editions, especially among offerings for women. At Vacheron Constantin a few glittering Patrimony watches also drew attention among the many ladies Malte models that punctuated the brand’s 2013 debuts. These included Patrimony Contemporaine with a fully diamond-set dial, lugs and case, and another with a simpler diamond bezel frame. Both feature serious movements that betray this brand’s increased dedication to cultivating women who may like their diamonds but who also prefer an automatic or manual wind movement ticking underneath those carats. Ralph Lauren’s new and handsome COSC Chronometer lifted eyebrows, especially considering the $3,250 price tag, relatively low from this brand. Similarly, its first-ever tourbillon, priced at $55,000, also drew nods among collected watch press used to hearing much higher dollar figures for such models. 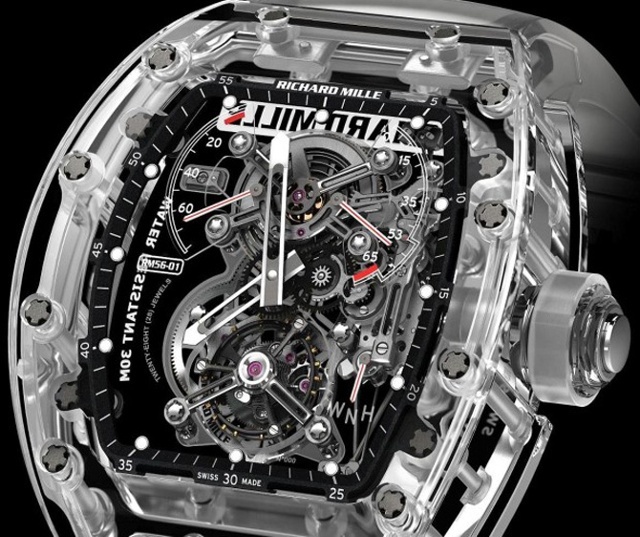 On the opposite end of the price spectrum Richard Mille’s numerous and complex offerings this year include one that echoed the buzz piece from last year. The Richard Mille 56-01 Sapphire model in a five-piece limited edition adds even more clarity to the sapphire-cased model seen at last year’s SIHH. The new edition with its clear case also features clear sapphire baseplate, center bridge and third wheel. Price: 1.6 million Swiss francs. Amid all the attention drawn to Jaeger-LeCoultre’s fantastic 180-year anniversary Jubilee collection, and to its sleek ultra thin debuts, one mIWCight miss the sporty new Deep-Sea Chronograph Cermet. The new material, Cermet, blends ceramic and metal for superior anti-scratch properties. 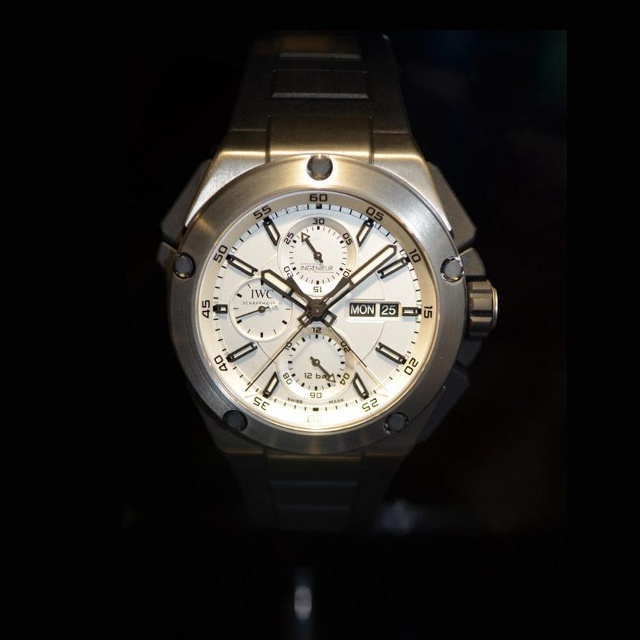 Also sporty, IWC’s new Ingenieur Doppelchronograph Titan 45 mm is a tough-looking split-second chronograph. 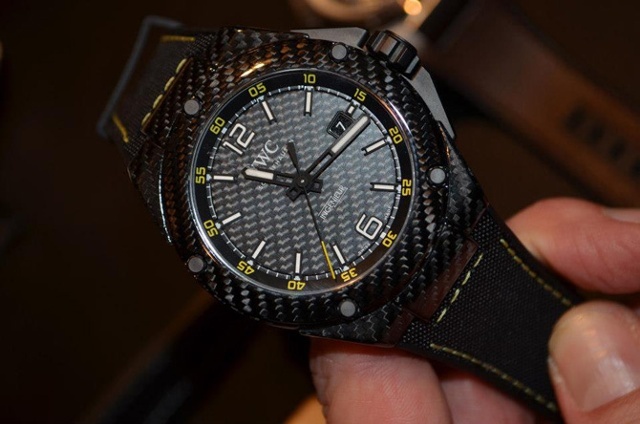 The new Ingenieur carbon fiber models also attracted much attention among racing fans who appreciate the richness of this high-tech material. 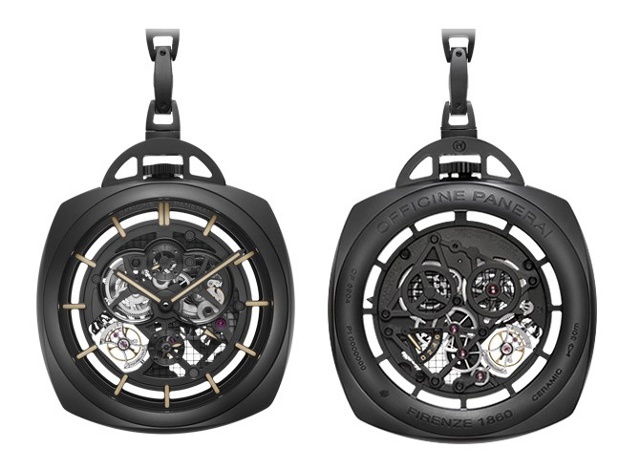 Finally, among the debuts worthy a second and third look is Panerai’s first pocket watch, the 50-unit limited edition Pocket Watch Tourbillon GMT Ceramica, which features a 59-mm Radiomir case of zirconium oxide ceramic and is powered by Panerai’s manual Caliber P.2005/S.